Berlin is a sprawling city with loads of interesting and historical sights to see, so bring your comfortable shoes! The city is split into districts, each one slightly different to the next and with something new to offer. The restaurant scene there is thriving, with ‘supper clubs’ popping up all over the place. In terms of gluten free Berlin eating, while not the best, it is getting better and I had no problems in finding gluten free options while visiting the city. Burgerie, Schönhauser Allee 50, 10437 Berlin. This is the place to come if you are really hungry. The restaurant serves (if you hadn’t already guessed by the name), burgers! This includes massive gluten free burgers, on gluten free buns with a side of gluten free chips. Good, old fashioned, artery clogging food! Speiserei, No. 58. Way road ,5812049, Berlin. A cute little cafe that serves teas, coffees, breakfasts and lunches. There are lots of gluten free options to choose from including gluten free sandwiches, cakes and soups. The gluten free carrot cake they served was really delicious! Jute Glutenfrei Backerie. Schönhauser Allee 52a, 10437, Berlin. A wonderful, entirely gluten-free and coeliac friendly bakery, located in the Prenzlauer Berg district. Their marble cake was delicious, as was the breakfast that they lovingly prepare (only available on Sundays). It’s also worth noting that many of the cakes were also dairy free as well as gluten free. Beware, they are closed on Mondays. Chen Che Teehaus, Rosenthaler Str. 13, 10119 Berlin. If you’re looking for a taste of the east while visiting Berlin, then this Vietnamese restaurant located in MItte should be your top of your list. There are lots of gluten free options available. Vietnamese food traditionally does not use wheat as it’s ‘go to’ grain (lots of rice based products instead), perfect! The rice paper rolls here were to die for! Cielo Di Berlino, Monumentenstraße 31, 10829, Berlin. Although this restaurant is a little out of the way, it is worth taking the trip to taste the amazing gluten free pizza that they serve. They’re freshly made and delicious, with a great choice of toppings. Their regular pizza (not gluten free), was also very tasty (so I’m told), everyone’s happy! 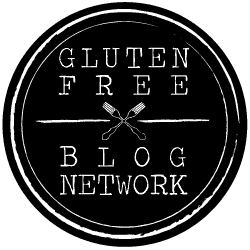 If you are looking to self-cater or pick up some on the go snacks, there are lots of small supermarkets dotted around the city that stock gluten free bread and gluten free cereal bars etc. The supermarket chain ‘Edeka’, which is frequently found was particularly good for gluten free items. Aldi is another option and also widely available. Top tip: ‘Gluten free’ in german is ‘glutenfrei’, which is not too taxing to remember or say handily!